The authors of a new study believe vaccination is an important component in controlling leptospirosis in horses. Here’s why. Leptospirosis vaccination significantly affects anti-Leptospira antibody production in horses, say the authors of a new study published in the Journal of Equine Veterinary Science. Although the humoral response was short-lived and was not apparently increased by booster vaccination, the investigators consider vaccination to be an important component of equine leptospirosis control. 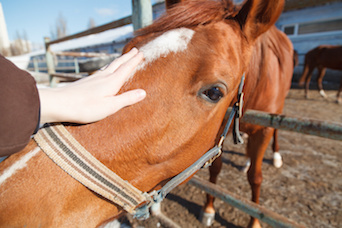 In horses, leptospirosis can cause abortion and uveitis. Because equine Leptospira vaccines have not been widely available, prevention has traditionally focused on management techniques such as not feeding horses from the ground or allowing them to drink stagnant water. The study included 54 mares with no history of leptospirosis vaccination and no signs of uveitis. Thirty-six mares randomly assigned to the vaccination group received 2 doses of multivalent leptospirosis vaccine on days 0 and 40. Eighteen mares in the control group received no vaccination. To identify natural infection in the study population, the investigators tested a random sample of 30 mares (15 in each group) on day 0 with urinary polymerase chain reaction testing. Tests from 2 mares in each group were positive, showing that they were renal carriers of leptospirosis. The researchers conducted microscopic agglutination tests to detect humoral responses to specific Leptospira serovars. On day 0, 26 of 54 mares were seroreactive, with no significant different between groups. Seroreactivity in these mares was to L. australis and L. icterohaemorrhagiae. By day 7, the percentage of seroreactive mares in the vaccination group had increased from 44.5% to 94.4%, and tests detected antigens to all 11 serovars included in the vaccine. This increase persisted for most serovars until day 60. The increase in the number of seroreactive horses was sustained to day 90 only for L. copenhagi, L. icterohaemorrhagiae, and L. pyrogenes. In the control group, the percentage of seroreactive mares also significantly increased by day 7, although the increase was smaller (55.6% to 66.7%). By day 90, there was no significant difference in overall seroreactivity between the 2 groups. However, anti-Leptospira antibody titers were higher in vaccinated mares than in unvaccinated mares throughout the study period. The investigators used enzyme-linked immunosorbent assay to identify immunoglobulin classes (IgG and IgM) in the mares’ serum. On day 0, the mares with Leptospira antibodies had a much higher concentration of circulating IgG than IgM, which the authors note is consistent with natural exposure. There was no significant difference between groups on day 0. In vaccinated mares, IgM increased relative to IgG over time. Both IgG and IgM were higher in vaccinated mares than in unvaccinated mares. By day 90, concentrations of both IgG and IgM had dropped in both groups. An unexpected result was that booster vaccination (day 40) did not increase the number of seroreactive horses. Previous studies of leptospirosis vaccination in dogs, pigs, and cattle have shown the opposite effect, say the authors. The authors note that the largest humoral responses were to serovars already present in the herd on day 0, suggesting that vaccination may have a booster effect. They add that different responses to different serovars is a limitation of multivalent vaccines. Leptospirosis vaccination increased the percentage of seroreactive horses in the herd, conclude the authors. Other tests would be needed to show whether this effect represents true protection against leptospirosis. Vaccination caused no apparent adverse effects in any of the horses, so the authors recommend further studies of equine leptospirosis vaccination under field conditions.